All Courses. Served Streamlined and Secured. A host of new improvements for the site! Our new look for all courses provides a quick insight into the material, rapid access to begin a course, a compact accreditations/approval interface and much more. 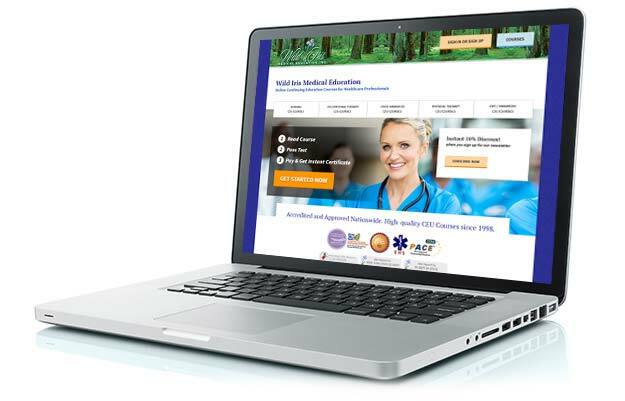 Completing your last minute CEU requirements will now be a breeze. In addition, our entire website is now served securely. All information is encrypted with Secure Socket Layer (SSL) technology for safe transport over the Internet to our Digicert Certified Secure server. We continue to work everyday on our website to improve your customer experience with us. Click here to review our extensive list of courses. Questions or comments? Visit our contact us page. CEUs. In 3 simple steps. How do you like the new website redesign? We have improved and streamlined the flow of our website. Having listened to you, our customers, and evaluated your valuable feedback, we spent many hours improving the design and the logic of our entire website. All geared towards improving your experience while using our website. Now, finding and taking a course for your profession, as well as registering, paying and getting your certificate, is easier than ever. We are dedicated to our customers and want you to have a postive experience while studying with us. Have you noticed a difference in the look and feel of our website? We are happy to announce the launch of our newly designed responsive website. With the help of Responsive Web Design, a new approach to building websites, our website is now easier to use on a wide range of devices and screen sizes. Every page is now built in a flexible manner that is optimized for almost any device with access to the Internet. Now you can review a course, take a test and get your certificate comfortably on any size screen, whether it is a desktop, laptop, tablet or smartphone. Complete your CEUs under the shade of a tree at your local park. Or from a deck chair at the beach. 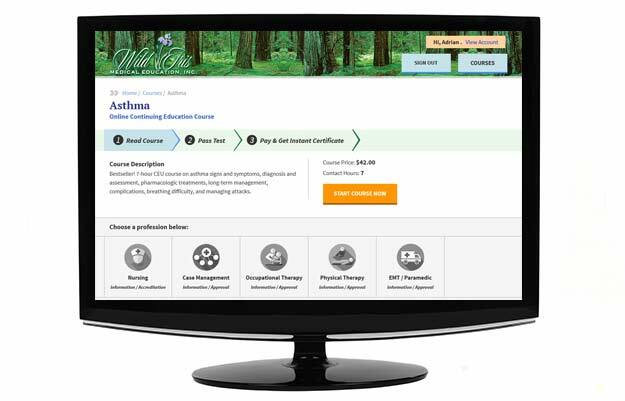 Regardless of where you choose to enjoy your new found freedom, we at wildirismedicaleducation.com will continue to work hard to offer the highest quality courses to fulfil your continuing education.